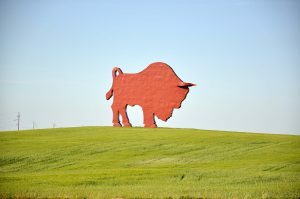 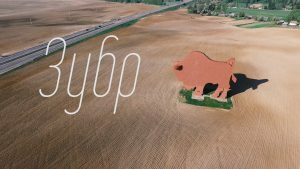 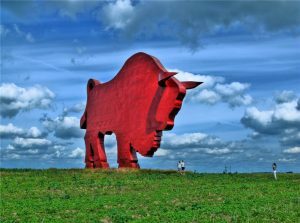 The giant figure of the bull, located on the highway Brest-Minsk, is nothing else than the real property of all Belarus. 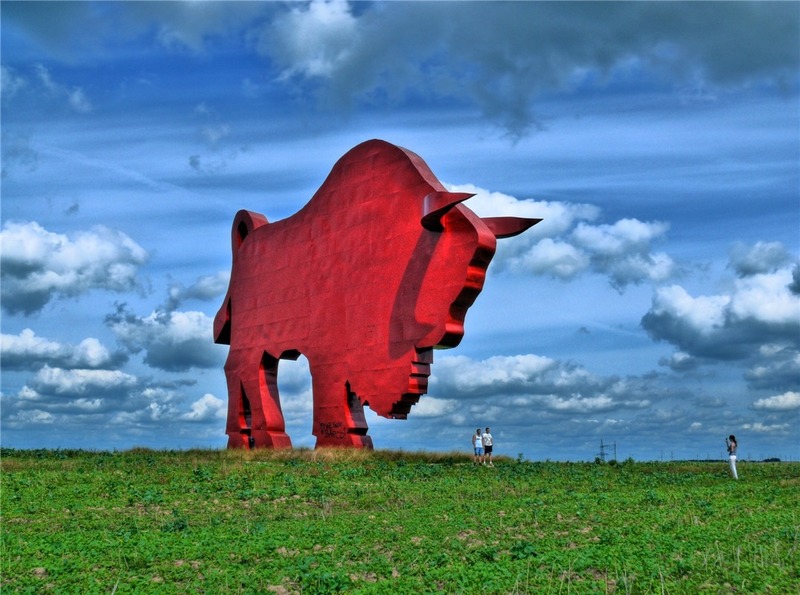 The height of the monument is about 30 meters. 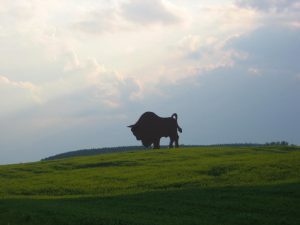 A huge bison is on a small hill just near the road. 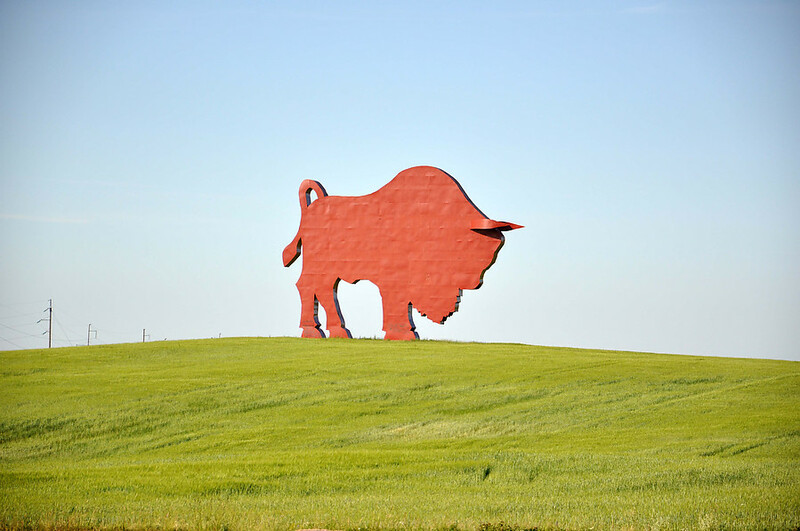 Thus, the symbol of the country meets and accompanies the guests of our country. 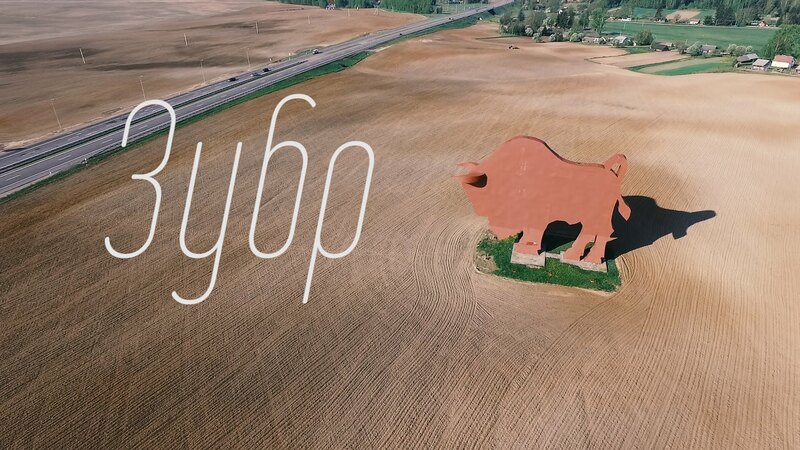 The going forward bison with its huge horns and its pinned tail is an original structure, which is an unusual sight, as well as a visiting card of the Brest-Minsk motorway. 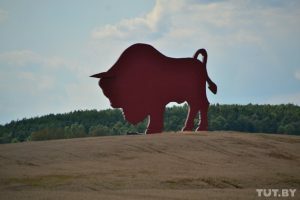 Some drivers who are not aware of the presence of such a large-scale construction right next to the roadway may be afraid of the unexpected appearance of a giant bison. The monument was erected on the initiative of local patrons and representatives of the authorities.